WE’RE BACK! 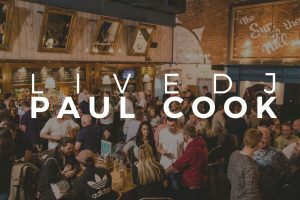 We’re continuing our re-launch celebrations with the main man Paul Cook behind the decks tonight for his second live set of August. This time he’s left the Early doors shift behind and is here till the early hours to keep you dancing all night long!